This article about the best strata insurance 2019 has been supplied by Simon Plummer, StrataRatings. Since the 2018 StrataRatings awards many strata insurers have taken it upon themselves to update their policies which is fantastic news for consumers. In the Residential category, 32% of policies were updated and in the Commercial category, a whopping 38% of insurers went ahead with upgrades. Our research indicates that this is the highest proportion of policies upgraded in a single year, likely due to the increased scrutiny of the content of these policies (and possibly due to the inaugural StrataRatings awards!). In previous decades it wouldn’t be uncommon for policies to remain the same for 5+ years so it seems insurers are paying close attention to the evolving needs of Owners Corporations and the competing products available on the market. Is the policy an Insured Events policy or a Broadform Accidental Loss/Damage policy? Is the product freely available to purchase? How comprehensive is the wording? Full detail of this methodology can he found here. It may be surprising to learn that no changes to the 2018 Ratings were made. ‘But surely all these upgrades made some difference? !’ you may question. Yes, the upgraded policies will generally be more comprehensive than the previous versions however we saw no significant changes to policy structure, insurer or distribution method which would lead to a change in Rating. And it is these first three considerations in our methodology that seem to separate the great from good. A policy that forces intermediary risk or uses a less than desirable underwriter, no matter how inclusive the wording is, will never achieve a top award. An analogous example is building a bridge with poor foundations. Perhaps the bridge has some great features; it has eight lanes, smooth tarmac and world-class onramps. For those using it in non-peak periods, great. But for those who happen to use it in dense traffic when it is under maximum load, there is a good chance of failure. And this is what a great insurance policy is about – performance in times of maximum stress. So, there you have it – the StrataRatings awards for 2019! Come and check out where your policy sits: Click here to see the ratings for Best Strata Insurance 2019!. StrataRatings is Australia’s first and most respected strata insurance evaluator. 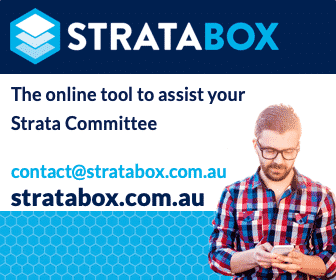 As a pioneer in the strata insurance industry, StrataRatings was established to close the information divide between insurers and strata schemes and to cut through the complexities of Australia’s strata insurance industry. Does my strata insurance cover me for everything? This post appears in Strata News #225. This article has been republished with permission from the author and first appeared on the StrataRatings Website. Visit our Strata Insurance OR Strata Information Pages by State. I’ve looked into strata ratings and while I think rating insurers is a great idea I have some concerns about Strata Ratings. I am an insurance broker that works full time in the strata insurance industry and my concerns about the strata ratings website are as follows. Firstly, the strata ratings website does not explain who gives the ratings – Is it just Simon Plumber and what involvement does he actually have in the strata industry and day to day dealings with the insurers he is rating other than having previously worked as the national claims manager for CHU? What is the actual amount in dollars that each insurer pays strata ratings? Is there a conflict in the remuneration offered? The strata ratings website pays no consideration into what we believe to be one of the most important factors on rating an insurer and that is the insurers attitude to paying claims – for example one of the “platinum” insurers is an insurer who we feel synonymous with making every attempt to avoid water damage claims (45% of all strata claims) and who we have taken to the Financial Ombudsman Service on a few occasions. The website goes on to talk about Lloyds of London as being a riskier option but it does not properly explain why – Lloyds have the same the same S&P ratings and are an APRA approved insurer and have a much longer history than any insurer that is on the strata ratings website. What specific examples does strata ratings provide to suggest Lloyds is not a good insurer? Is availability to purchase really something a client considers when purchasing a product? Just because a product is only available through a broker, the client still has the availability to purchase it – they just need to find a broker that offers the product. The website really gives brokers a bad wrap – it talks about brokers receiving commissions and it costing clients more and goes on to suggest it might be cheaper for a strata manager to learn it themselves but does not mention that strata managers receive the same commissions as brokers. The website does not properly discuss the importance of brokers in the insurance process and the benefits clients get from dealing with a broker these include. 1. Providing clients access to a more comprehensive range of insurers, many that are only available to brokers 2. The owners corporation transferring the responsibility of ensuring appropriate cover is taken to a properly qualified party and thus reducing their risk of a negligence claim against the office bearers for taking out a policy that was not correct 3. Most importantly the brokers role of acting as the clients representative at the time of a claim – last year, we were successful in disputing 10% of all claims and getting 10% in additional settlements for our clients. The work that has been done thus far is a great start and I hope that my comments do not discourage Strata Ratings from pursuing their service as I would like to use the ratings myself for my clients – I just feel more rigor and transparency needs to be put around the rating process and better explanation of some of the claims on this website.